I knew I wanted to do a reading log of some sort, but just wasn't quite sure how I wanted to do it. Searches on google, pinterest, and teachers pay teachers all gave lots of good ideas….some just regular ole reading logs, others more involved with coins, with 'time spent reading', etc., etc. I never really found exactly what I wanted and for the right price (FREE)…so I just made up my own very simple one. I'm still not quite sure exactly how I want it to go….but here's what I'm thinking so far…. -I only chose 10 books per page because I didn't want her to feel so overwhelmed and like she would never be able to reach her goal. -So I'm thinking there will be a small prize after she completes each sheet. I want her to continue to have motivation. Prize? Not sure what? I don't want to go get her more stuff/junk…so this might be a 'snow cone night'…or special lunch date with mom or dad…or swim at the pool 2 times in one day. So far (and I know the excitement will dissipate) she is so excited about all of this. We went to the library yesterday to pick out a new chapter book to read to both girls (we've read Charlotte's Web to them before, but that's the only one), some readers for Parker to actually read to us, and a few books that we will read to Grace (and Parker, too). 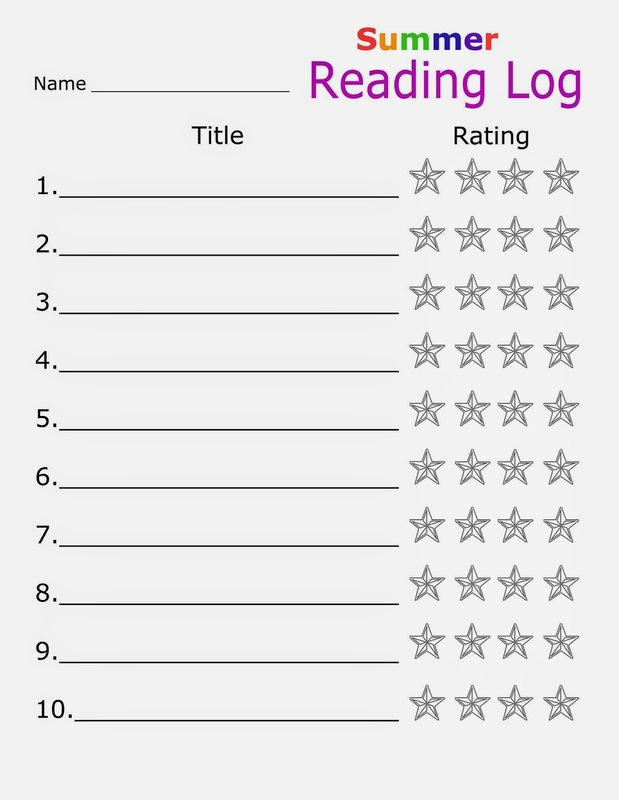 Grace also has her own reading log…and we write down the books that we read to her and she rates them. I'm pretty sure she doesn't understand the rating system…I tried to find some free 'thumbs up/thumbs down' clip art but was unsuccessful. That would have been perfect for her! She thinks the rating system is so fun. And Daddy reading the chapter book tonight before bed. We are trying out the first Magic Tree House book. Last night I think they really enjoyed it. Tonight they were kind of in lala land….but Nolan and I were still in there so I'm thinking maybe that had something to do with it. -At the library…I just discovered the 'green dot' section….where they have quite a few shelves of easy/beginning readers. It's probably always been there, but I just discovered it. There are several different kinds of readers so I'm still figuring out the levels and such. 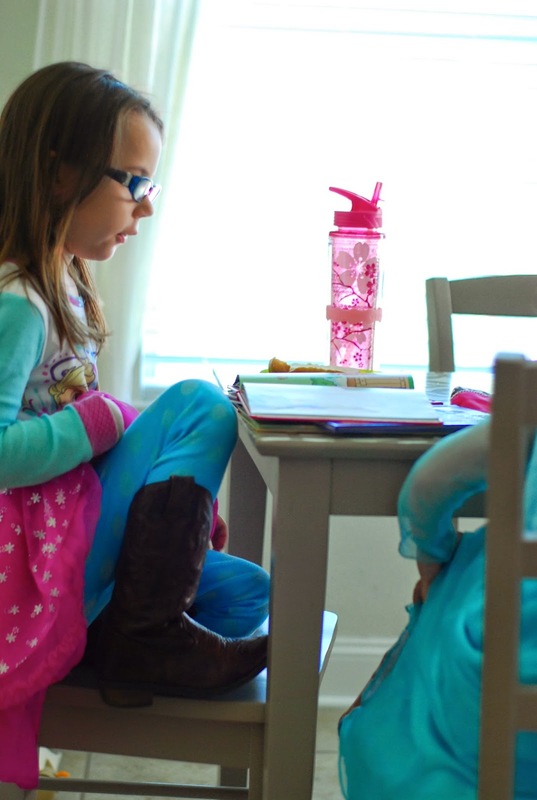 -With Parker….we read to her all the time as a baby. At 8 months old she would turn the pages as we read Brown Bear, Brown Bear. -Nolan has been read to even less. Sooo,,,,,I'm really wanting to remedy this and hoping this is a step in the right direction. Her walking and reading!!! Oh my goodness. SO awesome. It's wonderful that she is 'enjoying' reading! Great job Marla and Geoff! I love this post! I really need to do more with Molly and reading this summer!